Once you are involved in coaching there are many different opportunities or pathways open to you. Which of these you choose to follow within coaching is up to you, depending on your interests. Do you want to specialise in coaching children, adults or developing high level performers? The coaching skills, experience and qualifications you need will vary depending on who you work with. Do you want to be an assistant coach helping others to deliver sessions, lead coaching session or become more qualified and take on a head coach role? Are you thinking of coaching as a volunteer, for a career, or as a few hours part-time work? Are you looking to coach sport in schools, clubs or community settings? Do you want develop to coach a range of sports or specialise in just one sport? All of these are possible pathways for you as a coach. Which you take will depend on your interests, motivation and opportunities in your sport. Of course, you are not limited to working with one type of participants, having more varied experience of coaching will help you develop your skills. However, you don't have to decide now. Your preferences may change over time as you gain experience, so you should regularly take time to think about your progress and development as a coach. A good way of developing your skills and knowledge is to attend some of the many workshops and courses available in the Humber. An obvious way to develop your coaching further is to progress to the next level of coaching qualification or gain an award in a different sport to help you offer a more diverse range of sessions. NGBs can provide more information on these. These are important for all coaches, covering areas including safeguarding, equity and including disabled people within coaching sessions. Most coaches will need an understanding of these areas. Depending on your sport and where you coach, you may also need to gain a first aid qualification. Sport Specific courses – Many sports run workshops to help coaches gain additional skills, knowledge and drills in your sport. These are usually run by the NGB and may be available through your club, league, or county networks. Generic workshops – a wide range of topics are available to help you develop your coaching skills. This could include gaining specialist knowledge of child development, coaching young people, running multi-skills sessions, improving communication skills or gaining a better understand physiology or psychology. You can find out more about the courses available on our courses section here. Going on a training course or workshop isn't the only way to develop as a coach. You can learn a lot from other coaches, reflecting on your coaching, or from other sources. Observing another coach - are there ideas you can borrow, try out, or improve on? Or get someone to watch you coach and give you feedback on what you do. Co-coaching – work alongside another coach to gain additional or more varied experience. Reflecting – look back on your sessions, what went well, what could you improve, is there a logical progression for the next session? TNA and PDP – taking time out to think about your coaching skills, identifying areas you need to develop (Training Needs Analysis) and creating a Personal Development Plan (PDP setting out how you will address these. Focus on a few actions to keep this achievable. Mentoring – a more formal arrangement where an experienced coach supports the development of another coach. Books, DVDs, websites – there are a wealth of resources and ideas available to increase knowledge and help develop coaching skills. 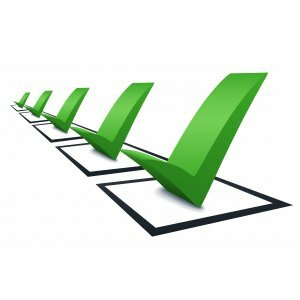 Nationally there are recommended Minimum Standards for coaches. These ensure that anyone getting into coaching is not just qualified in their sport, but also aware of best practices in safe and successful coaching. Being 'appropriately qualified' usually means holding a Level 2 coach qualification to lead sessions or coach independently and holding a Level 1 coach qualification to be an assistant. 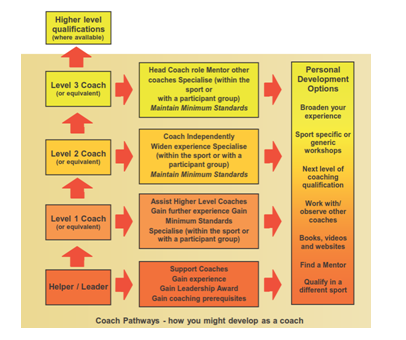 You should check with your sport's NGB to confirm the remit of each level of coaching qualification. Additional requirements may be put in place by NGBs or those deploying coaches. This will depend on what is relevant for the sport, the participants being coached, and where the coaching is taking place. As a minimum, Sports Coach UK currently recommends that all coaches access some training on safeguarding, equity and coaching people with disabilities. While these guidelines are voluntary, they will enhance your coaching and open up more opportunities - many organisations will now only deploy coaches who meet these standards. Within the Humber, some districts operate quality assurance schemes to approve coaches who will be coaching in schools and some local authority coaching programme. Full details of the scheme currently operating in the Hull can be found here on the Minimum Standards For Deployment page.